The Fall skies are settling in on us like a mother chicken settles in on her brood. The evening begins earlier, making me look for my tea cup and a warm sweater. The days are still beautiful blue, with green leaves dominating the skyline, but the yellows and oranges are creeping in like an uninvited guest. Someone we like, but wish didn’t show up just yet. But here she is, Autumn- bringing school, cooler temperatures and rain. Yes, RAIN. Though our annual fundraiser did not bring in the money we need to complete the arena, it was so valuable to have our families take ownership of the space. It truly belongs to all of them. Because we are still about $32,000 short- $15,000 in current bills for work that has already been done, $17,000 to finish the Parent Observation Room, we are selling bricks once again. For any of you who came to the BBQ, you know the bricks turned out great! Many have asked me if they can buy one for a beloved family member, the four-footed or two-footed kind, or for themselves. For anyone interested in this offer, you can click here https://co.clickandpledge.com/sp/d1/default.aspx?wid=74408 No more than 3 lines of copy, please. Perhaps I should explain why the arena is so important to the kids and families. It gives us the ability to work in all kinds of weather, and in the early darkness that befalls the Pacific Northwest in the wintertime. It provides a place out of the weather where our parents can stay connected to their child and stay warm and dry. But greater than all of this is the result that I did not see coming. I have seen the kids’ faces soften, as people who are more comfortable in their own skin. They are sitting taller in the saddle, walking taller with an air of confidence and self-esteem. They have an attitude that speaks of self-worth and feeling valuable. Most of our kids do not feel worthy or valuable when they come to our ranch. It is the work we do to help them realize how much they are loved and valued. But when complete strangers- people like all of you reading this report- care enough about them to build a beautiful, new place just so they can be with the horses that they come to love so much, it speaks so clearly to them without any words. I find that the strongest messages are often wordless. It is a whole community of people coming around them to scream, “Hooray for YOU! You are awesome! You can do anything you put your mind to! Dream, Believe Achieve!” This arena is so, so much more than a space to stay dry. It is a space to come alive. September was very busy with a very successful Facilitator Training Program completed by the HEAL trainers, Leigh Shambo, Kristin Fernald and me, a trainer –in-training:). Our group was comprised of 4 talented and skilled clinicians. I think they all deserve a standing ovation! 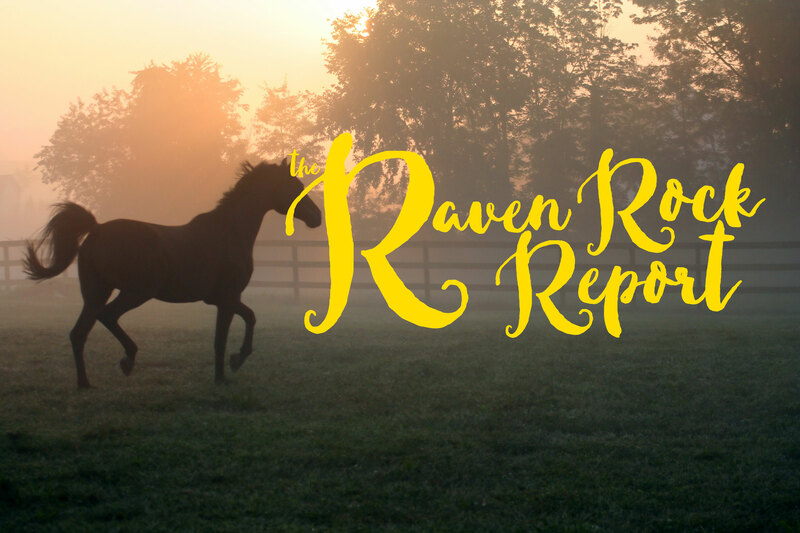 I sincerely hope and pray that all of you can feel ownership of Raven Rock Ranch and the miraculous work that happens here on a daily basis. Lives are absolutely changed for the better and we are all helping to build a better world to live in.